The leadership team at Beula Park International Conference Centre are thrilled to announce that the venue will again be hosting the annual Africa March for Jesus 2017. In 1994 the first Global March for Jesus covered every time zone and involved over ten million Christians from over 170 nations. 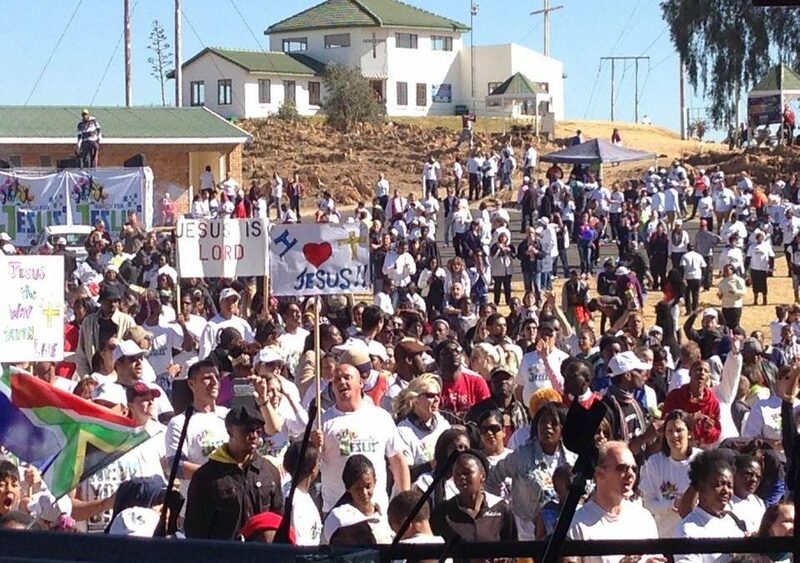 It is estimated that by the final Global March for Jesus on 10 June 2000, over 60 million people in 180 nations had taken part in the March for Jesus. This year’s event has been scheduled for Saturday, 24 June and will commence from Beula Park International Conference Centre on the corner of Green Hills and Sam Green Road in Meadowdale, Germiston and will be followed by a prayer and worship event at the open stage at Mount Zion Prayer Hill.